Wow. 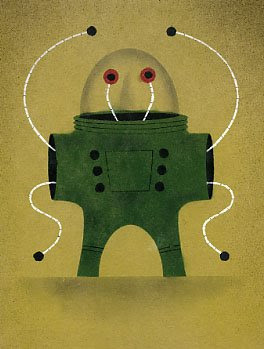 I'm totally in love with these fun, zany, minimalist robots by David Plunkert. They're so cool! I've been a big fan of David's work for years. 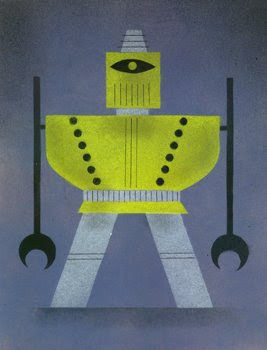 These robots are prints and are part of a side project that he and his wife created called Presto Bingo. Presto Bingo is positioned as "modern art for modern kids... colors and lines for growing minds," but I think kids of all ages would love 'em. There are 12 different robots in all and every one of them is just as cool as the next one. Hmmm....now which one should I get? !